Custom Blend Sugar Scrub: 8 oz. Customize your own Sugar Scrub! Select 1 to 3 essential oils (and / or Organic Botanical Flavors) to be added to our natural handmade sugar scrub base. It is simple... Add this item to your shopping cart, then go to the Custom Blend Page on our website and fill out the information and hit the submit button, then continue with your checkout. It is that easy! NO Chemicals or Fragrance Oils. No Preservatives. Non toxic. 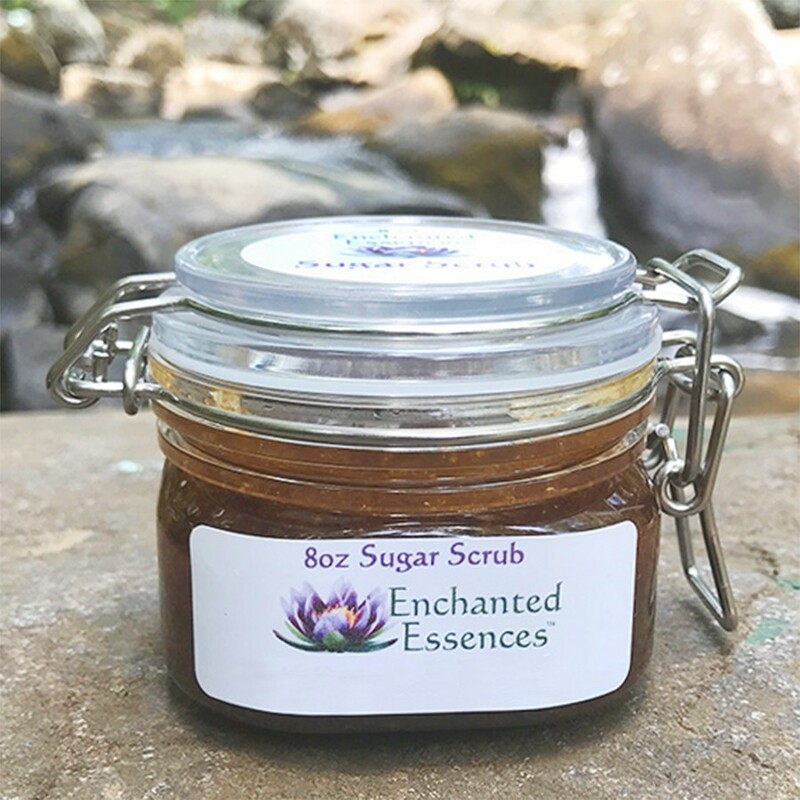 Made with Hawaiian Turbinado Sugar, Jojoba Oil, Grapeseed Oil, and/or Shea Butter, pure Essential Oils and/or Organic Botanical Flavors, Honey, Glycerin, Vitamin E, Rosemary Antioxidant Extract. Note on the Botanical Flavors that we use in our handmade Body Care products: We do NOT use so-called "Natural Flavors" (also known as "Natural Analogs") which are actually synthesized in a lab. The Botanical Flavors that we use in our handmade products are Genuine, Food-Grade Flavors which are used for culinary, scent and cosmetic applications. The Flavors are cold-processed using extraction without the use of any colorants, fillers, diluting agents or preservatives. (obtained through a proprietary technology conducted at temperatures below 118 degrees F. This process comprises a multi-stage extraction encompassing initial desiccation, lyophilization, CO2 and HFC extraction). The Botanical Name of the Flavor is the only Ingredient in it. They are wildcrafted or sustainably grown and non-GMO. They are safe for your skin and they Smell Delicious!!! Our Current Inventory consists of the Essential Oils Listed in the "Caelestis Pure Essential Oils" Category and we also have Botanical Flavors of Peach, Orange, Mint, Chocolate, Black Cherry, Vanilla, Lime, Coconut, Pineapple, Banana, Rose, Cinnamon. These Pure, Organic, Edible Flavors are great to add to Custom Body Butters, Massage / Bath Oils, Sugar Scrubs and Lip Balms!